I had been given an ultimatum, ‘Publish or Perish’. I was still struggling to focus my attention on one subject on which I would write. Concurrently, I was teaching Astronomy at Bharatiya Vidya Bhawan, New Delhi, and I was asked to take Ashtakavarga classes because the teacher concerned was on long absence. I started teaching this subject, and as time went by, it grew on me. So the choice of writing on Ashtakavarga emerged not by design but by default. I immersed myself into the task and concluded, when man finds something by default, it must be the design of God. I was fortunate in writing on a subject like Ashtakavarga in the computer-era. My sympathies and obeisance to my predecessors who slogged at it for the love of the subject and kept it alive. I am sure that, in past it fell into disuse due to the laborious and error-prone calculations involved. The time has come when it must be resurrected. Truly speaking, Astakavarga is the subject for the modern times when the astrologer can make use of the latest computers. Ashtakavarga offers fascinating insights into the horoscope and reveal that side of astrology which is unmerciful yet captivating. ‘When in doubt rely on Ashyakavarga’, is the new mantra I keep chanting. In my view it dispels uncertainty specially in cases where dusthanas are involved. Dusthanas as described in the classics seem to have acquired a totally new colour and stance in the present day complex and competitive world where the strength of dusthanas might determine the extent of success or failure. Kendras and trikonas, as the pillars of strength, seem to have been pushed in the background, in the opportunistic global economy. Ashtakavarga helps decide whether to take the old meaning or the new. Use of computers has made it possible now to do meaningful research in Ashtakavarga. Not only will the future research minded students of astrology be able to give a clear verdict on controversies that plague Ashtakavarga, but also whole new vistas would be open to them for experimentation. 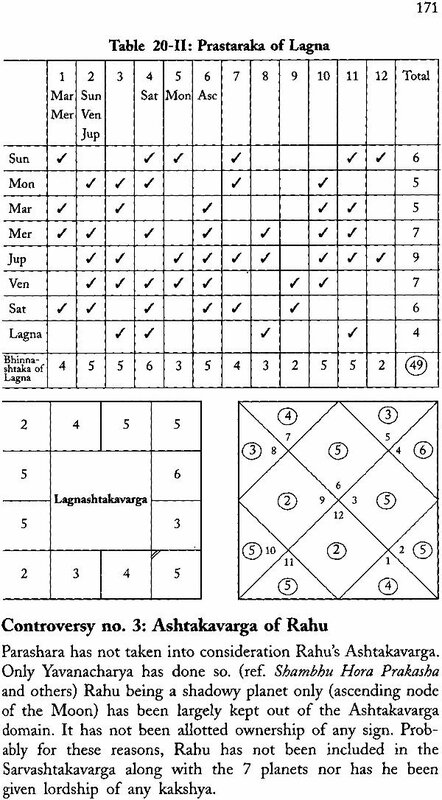 All that one needs is a computer-programme that will cast Ashtakavarge would give a new dimension to Prashna Chart or a Varshaphala Chart. 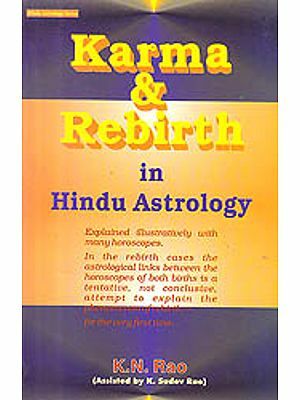 Astrologers practicing Jaimini system should be able to cast an Ashtakavarga based on Pda Lagna or Karakamsha Lagna and scale new heights in research which has been dormant till now. Ashtakavarga is waiting to be tapped and amalgamated with every branch of astrology. Computer astrology hitherto has been quite inane and its utility has been restricted to mathematical presentations only. I foresee a future when computer programmes will be able to churn out a new kind of Varshaphala based entirely on Ashtakavarga and transits which would give meaningful ‘How is your day, today’ from your individual birth-data. Similar predictions based on the Sun-sign or the Moon-sign, presently dished out in newspapers or magazines, are so generalized that they become preposterous; their popularity is only due to the veracity of rules of probability. I have great pleasure in presenting the second edition of the book to the students of astrology. Some changes, modifications and additions have been incorporated wherever necessary. 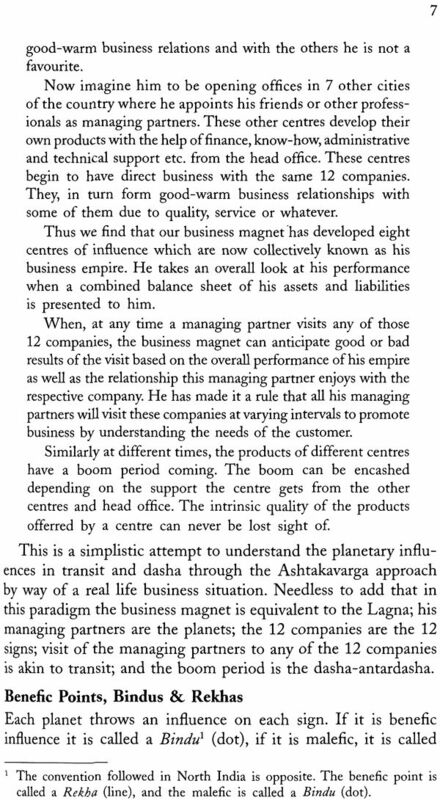 Indeed it is encouraging that the first edition of a book on Ashtakavarga, a subject not exactly in the main stream of predictive astrology for most practising astrologers, is out of print within a short span of 2 years. 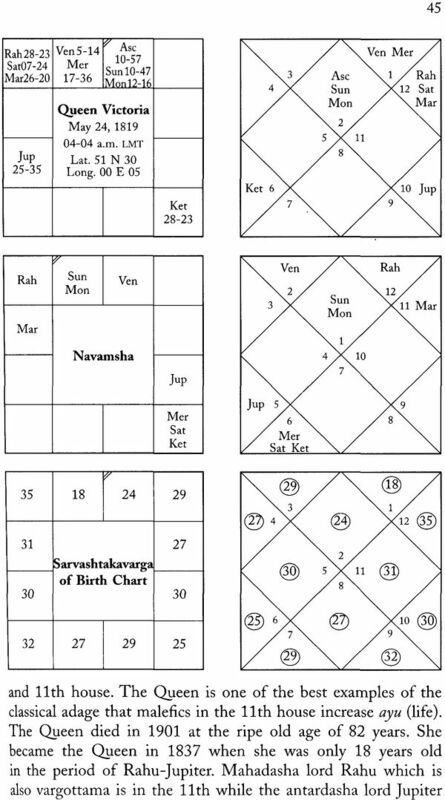 In the preface to the first edition, I had mentioned that the application of Ashtakavarga need not be restricted to the birth chart alone. It can be extended to other kinds of charts also, e.g., Divisional charts, Prashna charts, Varshaphala chrts, Prashna charts, Varshaphala charts, Karakamsha charts etc., and rules of Parashari, Tajik or Jaimini astrology by applied on them. 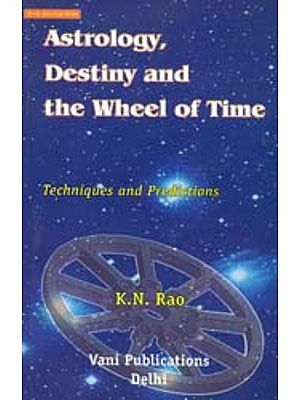 It gives me immense satisfaction to share with the readers the overwhelming response I have received, from India and USA, by astrologers who tried out these experimental and innovative ideas with extremely encouraging results. The search for more accurate predictive tools took to wings because a few valiant computer programmers added the facility of making a fresh Ashtakavarga for any of the charts mentioned above. One programmer used Ashtakavarga to actually churn out ‘How is your day, today’ with astonishing success. The entire edifice of astrology rests on the interpersonal play of planets in the backdrop of zodiacal signs. Ashtakavarga is the only method which puts this interplay into a competent system. A planet will do a job according to its strength. The other methods of finding strength of a planet, e.g., Shadbala (Parashari), Panchavargiya bala (Tajik), or Grahabala (Jaimini), have their own specific value, but they all seem to miss a very important point. And that is, that a planet does not operate in a vacuum, the other six planets are always somewhere around. Therefore, a planet will do a job only in as the other plants would allow it to do. The other planets either support its assignment or oppose it. In a nutshell, the native, at all times, experiences the combined results of all the planets. It is only a manner of speech amongst that a particular planet is causing trouble or otherwise because talking of all the seven planets in the same breath is difficult. It is for this reason that the sages devised Ashtakavarga. 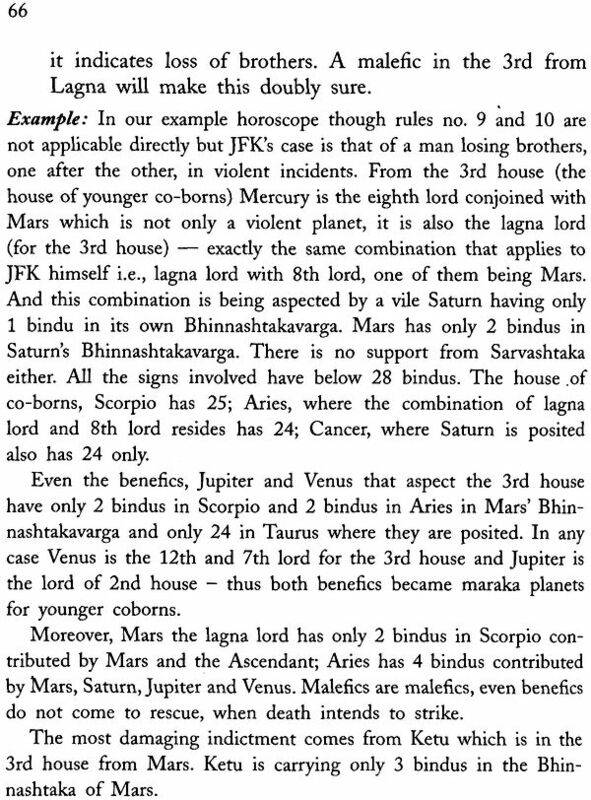 It is only in the Ashtakavarga system, when we say that Jupiter is powerful because it has 7 Bhinnashtaka bindus, or 42 Sarvashtaka bindus in a sign, what we mean is, that all the planets have gathered together to invest into Jupiter this power. In no other branch of astrology this truly democratic approach is visible so clearly. In the past, some efforts have been made by a couple of eminent astrologers to use Ashtakavarga on divisional charts, specially on the navamsha. 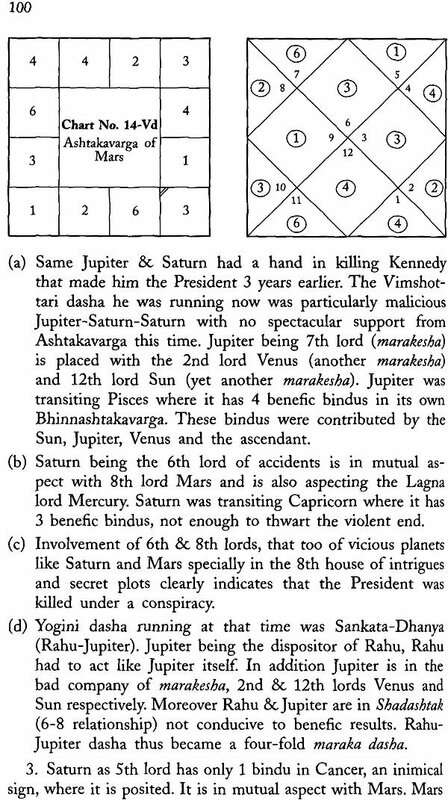 Their method has been to utilize the same Sarvashtaka figures as have been calculated for the rashi chart and superimpose them over the navamsha chart, sign by sign. This method may have some merit of its own. But, in our opinion it is a travesty of Ashtakavarga spirit. 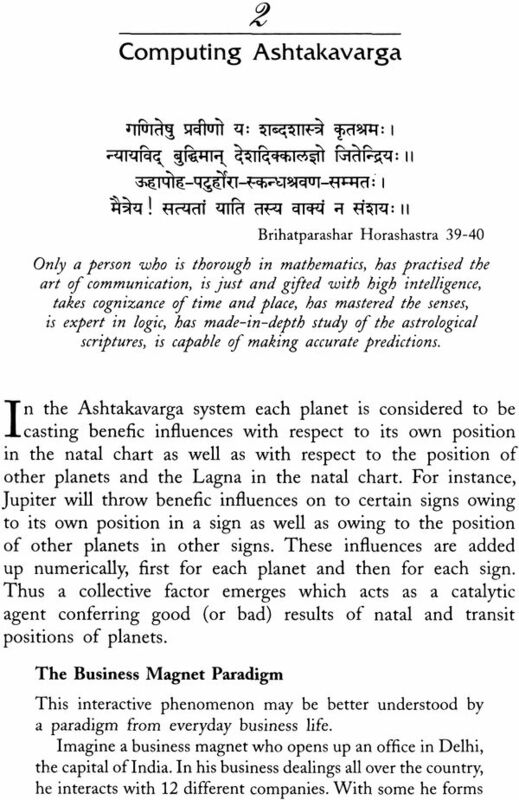 Ashtakavarga is founded on the position of various planets from each other. In divisional charts their interpersonal positions undergo drastic changes. Therefore, it is rational to calculate Ashtakavarga figures for the divisional charts afresh. It is possible to devise a system in which figures in the birth chart and in the specific divisional chart can be compared to arrive at illuminating conclusions. Our Preliminary investigation on the use of Ashtakavarga on divisional charts indicates that such events are successfully verified on divisional charts with fresh Ashtakavarga that otherwise remain hidden in the birth chart. The rules of application of Ashtakavarga on divisional charts remain the same as described in this bookfor the rashi chart. The events to look for should be in conformity with the specific chart, e.g., navamsha for spouse and saptamsha for children. The strength of Karaka planets and the relevant house should be particularly examined carefully in the respective divisional chart, e.g., Venus and 7th house in the navamsha and Jupiter and 5th house in the saptamsha. Wherever Ashtakavarga strength has been mentioned here it refers to both, Sarvashtakavarga as well as Bhinnashtakavarga bindus. Ashtakavarga has never been meant to be a stand-alone system. It has always been advised that the rashi chart should be examined for the usual astrological principles. It would be pertinent to reiterate the importance of rashi chart, particularly when we are on the threshold of making use of Ashtakavarga on divisional charts and other charts, and entering into a hitherto uncharted territory. Horary horoscopy being one of the most popular branches of astrology presents very exciting opportunity for the application of Ashtakavarga. The simplest method to come to a quick result is to check how many bindus the lagnesha and karyesha are associated with. High bindus indicate positive fructification of the Prashna. The next area which should draw our attention is the bindus in lagna and the karya-bhava. One could also check the bindus of the planets involved in Itthasala, if any. The Moon being a very crucial palnet in Prashna should also be checked for its bindu-strength. An important area which will pay high dividend is the kakshya analysis, specially of the kakshya analysis, specially of the karyesha. The time of fructification of the event is when the karyesha would transit a kakshya having a ‘helpful’ by a ‘helpful’planet. Similarly the transir of Moon, in a kakshya with bindu, over lagna, lagna lord, karya-bhava and karyesha will help pin-point the finer timing of an event. The indications given here ought not in any way undermine the importance given here ought not in any way undermine the importance of the general principles of Horary. This is another chart which is kind of a transit chart, quite like a Horary chart. Some special features of annual horoscope are, the Muntha, its lord and the Year lord (Varshesha). Their strength can found out by casting fresh calculations of the Ashtakavarga of the annual horoscope. The bindu strength of the house in which Muntha or Varshesha are placed will add a quantitative predictive tool in the hands of the practitioners. One would like to suggest that the placement of Muntha in adverse houses (4, 6, 7, 8 & 12th ), will not be so adverse, if the associated bindus are above average. The Year lord in the annual chart is said to have the same importance as the lagna lord and has dominance over the whole year. Its bindu strength in natal chart as well as annual chart can give important quantitative clues for the coming events. Jaimini astrology has the peculiar characteristic of having rashi dashas in place of planetary dashas. 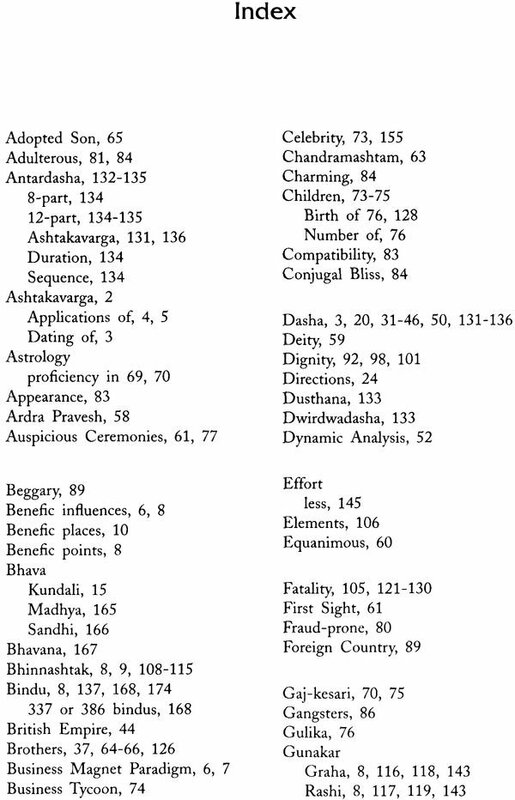 Ashtakavarga also has this peculiarity that bindus are ascribed to rashis. A planet is said to be associated with as many bindus as the rashi has in which the planet is placed natally or transit-wise. It is the rashi that owns the bindus. The planets only bask in the reflected glory. In the arena of application of Ashtakavarga on dasha system, therefore, Jaimini astrology is a befitting subject. Thus, the most important principle that emerges is that a rashi dasha will be beneficial if the rashi has more than average bindus. If both, rashi dasha and its antardasha have high bindus, the antardasha period will be auspicious. If there are higher bindus in the 11th house from the dasha rashi as compared to the 10th house from it, the dasha will be a period of less effort, more gain. The strength of Atmakarka, Amatyakaraka and the other karaka planets can also be ascertained by Ashtakavarga, besides the Jaimini grahabala. The hints given in the above paragraphs as to the use of Ashtakavarga in various charts are simply indicative and by no means exhaustive or conclusive. These have been vary briefly mentioned here to get the enthusiastic students started on these lines. I am sure, the students having a spirit of adventure will find many more ways to exploit this wonderful system in all its multifarious glory. Feedback from them is welcome, whether or not it is positive. 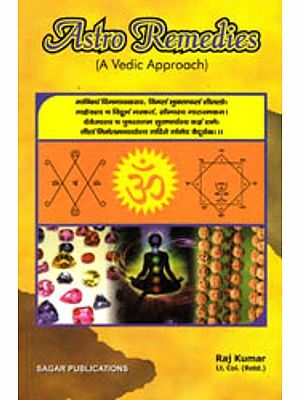 In the Purvakhanda (earlier part) of Brighatparashara Horashastra Maharshi Parashara has explained the combined effects of thepalnets due to their position in different bhavas (houses) ana various principles governing their astrological results as and various principles governing their astrological results as accepted by sages and masters. In the Uttarakhanda (latter part) is this chapter on Ashtakavarga, in the beginning of which is given a dialogue between Maitreya, the most outstanding student of Parashara and the great master himself. Maitreya says, “Bhagwan, you have explained these principles in detail but due to dwarfed intelligence and due to indulgence in sinful deeds, the people of Kaliyuga (the present era), will find it difficult to understand themclearly. Therefore, please teach me that shastra (branch of knowledge) which even people with low intellect can understand and make use of for ascertaining happy or unhappy events and also the ayu (longevity) by analysing positions of planets at the time of consideration.” Replying to the query, Maharshi Parashara calls it a good question and proceeds to explain Ashtakavarga with a remark that it is not different from what he has explained earlier. In practice, it turns out to be uniquely defferent in its application. In its application. 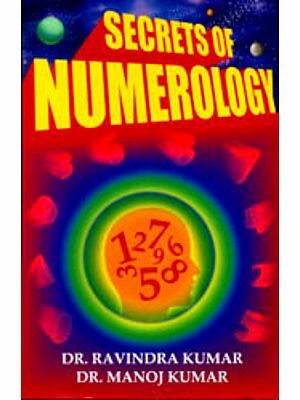 In fact, this technique adds so definitive a weapon in the arsenal of a discriminating astrologer as has not been given in the earlier chapters of Brihatparashar Horashastra. 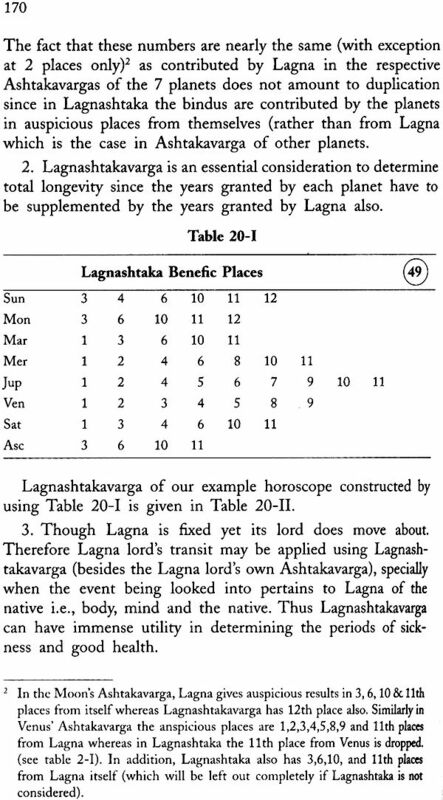 Just as the effects of planets in different bhavas are reckoned from the Lagna and the Moon Lagna, so also the affects should be reckoned from the positions of other planets, considering each as a Lagna and counting bhavas from the position of the planet as the reference point. Thus effects from seven plancts (excluding Rahu & Ketu) and from Lagna should be seen to obtain the ‘total’ picture. When effects from seven planets plus Lagna are checked out, it is called Ashtakavarga system of analysis. Reconciling results of planets from Lagna and the Moon is complex enough. The question arises as to, how does one handle the intricate web of matrix generated by such an interactive planetary positions? Generation after generation of astrologers will remain eternally indebted to the great seers who devised the system of Astakavarga which handles this complex task with admirable aesthetics and commendable ease. No one seems to know when exactly the Ashtakavarga system originated. Brihatparashar Horashastra gives principles and methodology of this system in some details. While talking about Astakavarga, Parashara says that he has explained the principles in the preceding chapters as mentioned by eminent acharyas before him (verse no. 10). 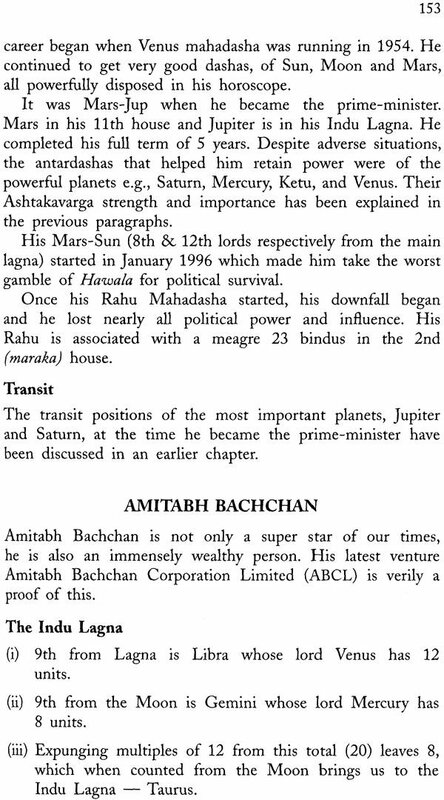 These preceding chapters were on general astrology Now he will describe that shastra which is special This verse (no. 12) seems to indicate that Parashara credits himself as the originator of Ashtakavarga system since in the earlier verse (no. 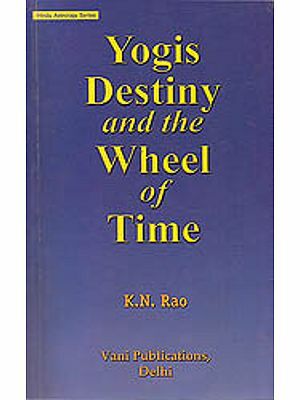 11) he mentions the names of the sages Vasishtha and Brihaspati in the context that even they find it difficult to determine the results of the movements of planets accurately, then how will ordinary mortals in Kaliyug find them correctly (by using the principles of general astrology only). Acharya Varahamihira (500 A.D.) in his Brihadjataka mentions Ashtakavarga in a casual manner as if it was common place in his times and had become integral part of the main body of astrological teachings and he did not find the need to go into details. Therefore, it seems that Ashtakavarga system originated much before Varaha; it may even be before Christ. 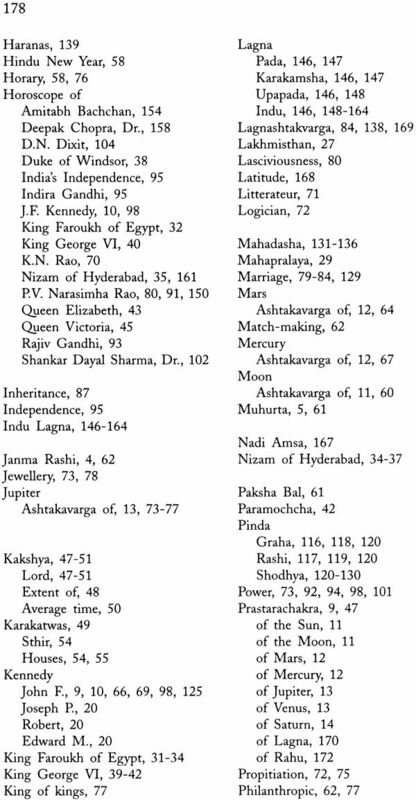 Some scholars opine that Ashtakavarga finds mention in such ancient epics as Vishnu Purana and Brahmayamali which are probably nearly as old as the Vedas themselves. 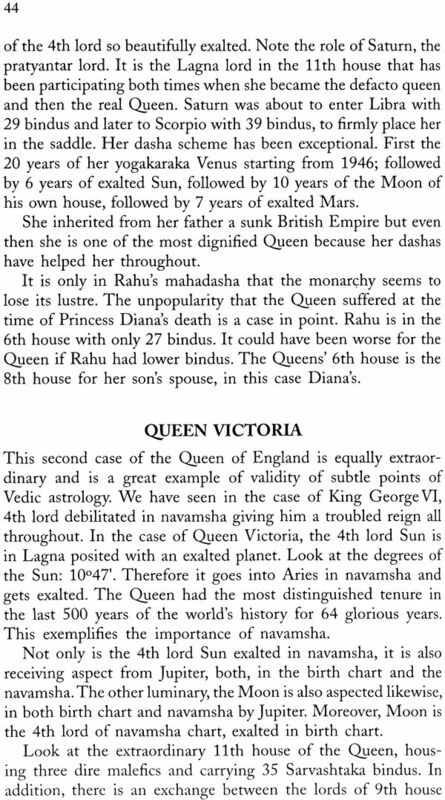 The Janma Rashi Syndrome Some of the writers in remote past were aware of the superficiality brought about by over-simplification of transit results which take reference from the Moon sign alone. So, it seems that the malady is not recent. 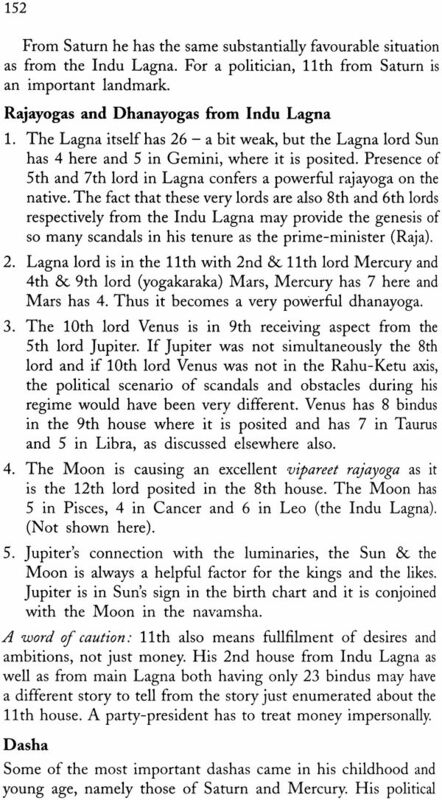 Gunakar writes in his Horamakaranda (about 1500 A.D.): The sign occupied by the Moon at birth alone is known as Janma-rashi (birth-sign), but any sign that is occupied by one planet or the other has its own characteristic effect and so has Lagna. Thus the native has to respond to the ‘whims and fancies’ of eight heavenly factors, not one alone. Applications of Ashtakavarga Applications of Ashtakavarga can be studied under three major heads. A. Static analysis:This gives results which are applicable over the entire life span. The results are indicative of a general pattern of life in which certain type of events keep recurring all through the life. 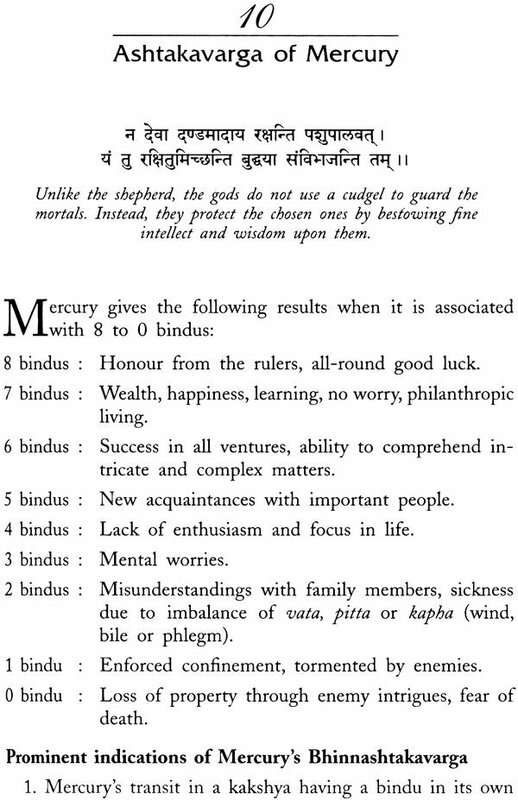 Under this head falls the comparison between different houses associated with varying number of bindus, besides some other observations. B. Dasha Dasha analysis: While the static analysis indicates the promise in the horoscope, dasha gives out the time of fructification of that promise. Ashtakavarga has a special light to throw on the dasha and this is worth including in the portfolio of the dasha-analysis. Exclusion of this conside—ation would mean missing out on some very important clues. C Transit analysis: Traditionally, Ashtakavarga has chiefly beenused to delineate results of transit of planets. 1 Ascertaining the general strength of planets and sings (or houses). Therefore, Ashtakavarga can be effectively used in measuring strength of yogas in a horoscope. This method is quite distinct from Shadbala calculations of strength of planets. Jaimini’s Grahabala is yet another system of finding strength of planets. Ashtakavarga is uniquely different. 2 Anticipating important events of life e.g., marriage, childbirth, periods of prosperity, sickness, death etc. 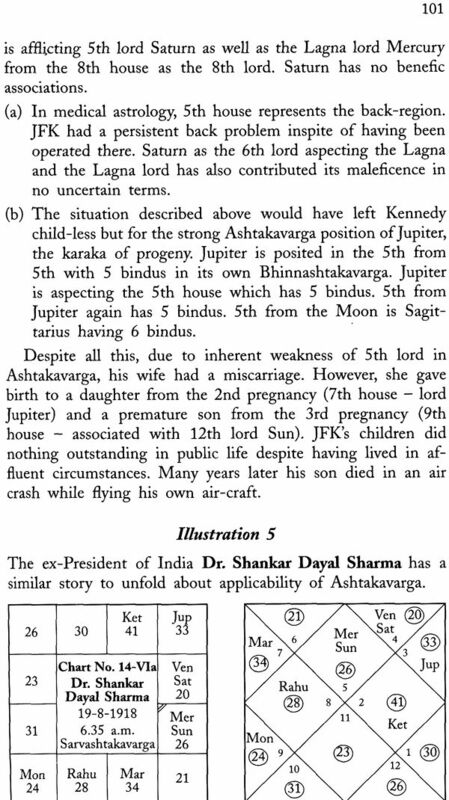 Ashtakavarga system has an unusual method of calculating the nakshatra which when transited by the significator planet causes the related event to take place. 3 Combining it with the dasha prevalent at the time adds a qualitative and quantitative dimension to its results, even though Ashtakavarga is considered subordinate to the dasha system. 4 Predicting general transit results. It is said that transit considerations without taking Ashtakavarga into account can be misleading, more often than not. In other words, a synthesis of transit and Ashtakavarga can add a definite accuracy to the predictions. Some authors have gone to the extent of suggesting that it is criminal neglect to analyse a horoscope, specially transits, without taking Ashtakavarga into account. Sadhe Sati is one of the more specific areas of application of Ashtakavarga. 5 Calculating longevity or the number of years one is expected to live. Amongst the several methods of calculating longevity, the ones based on Ashtakavarga are very popular amongst a certain section of astrologers. 6 Fixing the suspicious time to begin a task or finding a good muhurta for parashara, actually prefers this method for fixing muhurta over ordinary transit method. 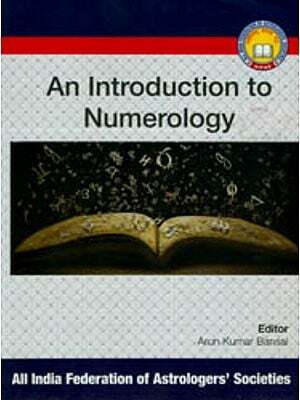 This system presents a scope of departure from its traditional applications to the research minded Vedic Astrologer. It can be subjected to many innovative applications suited to the modern context. In the following pages, an attempt has been made to present the classical dicta, as it is. Comments have been added wherever called for.